City Developments Limited, or better known as the CDL, is one of Singapore’s property pioneers operating since 1963. The company has been involved in development and investment of real estate properties and is listed as a hotel conglomerate, as well. Starting as an 8-employee office renting a small space in Amber Mansion, City Developments Limited has boomed into a large company. The company’s first public launch was in November of year 1963, and two years after, CDL finished its very first housing development project, the Fresh Breezes. The company was first to introduce a “show house”, a strategy followed by virtually every developer up to this day. Shortly after Fresh Breezes was launched, CDL launched Clementi Park, its first condominium development in Singapore. In 1966, CDL’s high-rise development, the City Towers, was launched as well. In 1972, the CDL was acquired by the Hong Leong Group, in which the company had a controlling interest. Together, the Hong Leong Group and CDL launched the first residential and shopping development called City Plaza. More development properties followed and these include the Tanglin Shopping Centre, Woh Hup Complex, the Katong Shopping Centre, The Arcade, and the Queensway Shopping Centre. The City Developments Limited has a diverse portfolio that the company is proud of. With its roster of talented architects and strategists, CDL has included several well-known developments to its list of achievements. The most current residential launches include Jewel @ Buangkok, D’Nest @ Pasir Ris, Echelon @ Alexandra, Haus @ Serangoon Garden, UP @ Robertson Quay, H2O Residences, The Glyndebourne, The Palette, W Residences, 368 Thomson, Livia @ Pasir Ris, Hedges Park (Joint Venture between Hong Leong, TID & CDL) and Buckley Classique. For commercial developments, the CDL includes The Tampines Grande and Tampines Concourse to its portfolio. There’s also the Central Mall, the City House, the Fortune Centre, the GB Building and The Fuji Xerox Towers among many others. Industrial developments are not an unfamiliar thing with CDL. The company is the name behind many prominent industrial buildings around Singapore, such as the Cideco Industrial Complex, the Citilink Warehouse Complex, the City Industrial Building, Cititech industrial Building, and Tagore 23. 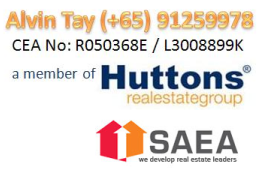 Upcoming launches for various types of development properties are soon to grace the Singapore landscape and skyline. An executive-type condominium development is soon to rise at the Sengkang West Way/ Fernvale Link also known as Lush Acres, while a mixed retail and residential development is the upcoming at the Tai Thong Crescent Project. A 124-unit condominium building is also under construction at the Leonie Hill Road, while the Gramercy Park at Grange Road is to launch soon. CDL, as a pioneer in the property development industry, has been given numerous awards that only prove the company’s commitment to its mission and vision. The company has received several corporate awards including the most recent BCI Asia Top 10 Developers Award 2013, the Quality Excellence Quality Champion Award by the BCA, and the Excellence Awards in the PA Community Spirit Awards 2013. In 2012, CDL was awarded by the Singapore Environment Council with the Eco-Office Label Certification because of the company’s efforts to maintain an environmental-friendly workplace. This only reflects that City Developments Limited is not only focused on the facade and function of their development properties, but is also concerned with the environment as well.